Darla Bunting, an executive board member of First Book DC and former teacher, talks with Sam P.K. Collins about it all – books, early childhood education, public vs. charter schools, etc. This short interview puts all the issues on the table. The Rise of Home Visits in DC! One fond memory I have of my time as a third grade teacher at DC Scholars Stanton was performing home visits with the yin to my yang, my partner third grade math teacher. Over the summer prior to the start of the school year and also during the spring, we had a chance to get into our students’ neighborhoods and have a chat with their parents or guardians. It was our opportunity to meet parents on their turf instead of having them trek up to the school. We walked into apartment complex after apartment complex and were in for a major treat each time. Home visits felt just as the name suggests, like going to visit your home. We sat on couches or at kitchen tables and engaged a in good dialogue about how to meet the needs of their child. These visits helped create a stronger bond between us and the parents. Since we prioritize meeting parents before the start of school, we ensure that the first interaction with parents is a positive one. The first lays the groundwork for future home visits and reassures parents that we’re on the same team. 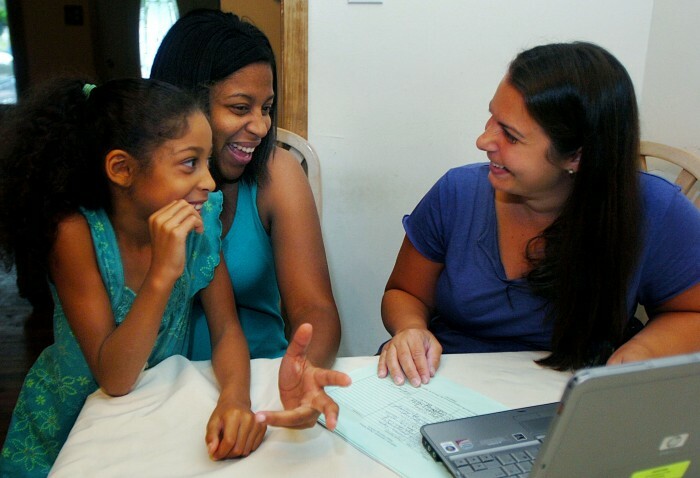 Home visits help DC Scholars Stanton boost parental engagement and are a crucial part of the school’s success. Recently, WAMU 88.8 posted a piece on the rise of home visits in the District of Columbia. DC Scholars Stanton was just one of the schools featured. Rena Johnson, a principal at Stanton Elementary School in Southeast D.C., says her teachers are conscious of how they talk even while setting up the visit, calling the parents ‘mom’ and ‘dad’ rather than ‘Mr. and Mrs.’ She says that helps set an informal tone. Because of safety concerns, teachers always go in pairs. And she says they don’t take notes. I’d love to hear your thoughts on home visits. Is your school performing home visits? If so, what has been your experience? Want to know more about home visits? Share your questions below. Find out more about how The Flamboyan Foundation’s home visit initiative is connecting more schools to communities in D.C. here.